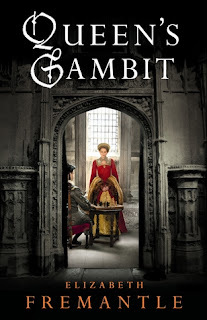 I didn't read the back cover of this book, Elizabeth Fremantle has become a favorite of mine with her 2 previous books, Sisters of Treason and The Queen's Gambit. It was a given that Watch the Lady would be on my reading list. A big thank you to the publisher for providing me a copy not just for review but an autographed copy for one of my lucky readers. 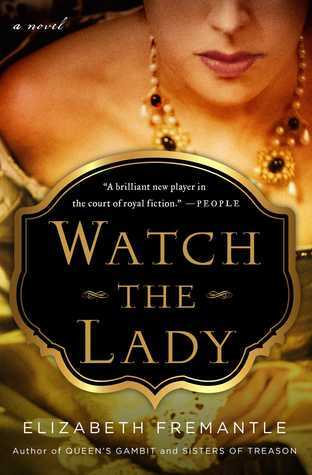 The market is saturated with Tudor books, but Watch the Lady is a breath of fresh air. 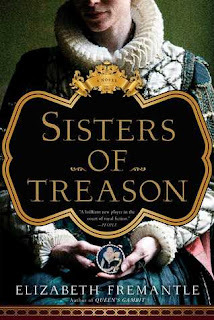 Taking placing during the final decades of Queen Elizabeth I's reign the author has taken a virtually unknown historical figure and woven a story teaming with the intrigues of court. Penelope Devereux was an unknown to me, it took all my willpower not to google her and get she story. I am very thankful I resisted. The daughter of Elizabeth's arch enemy Lettice Knollys, Penelope is a woman ahead of her time, she is strong, driven and resourceful, but she is also vulnerable and sensitive. It isn't hard to get to know her and the author stayed true to what is known about her life. It is evident the author has a passion for Penelope as it shows in her writing, she stayed true to what history has shared and any deviations have been explained in the authors notes. 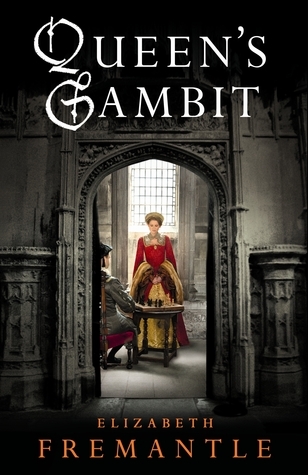 Elizabeth Fremantle has a writing style that makes it easy to get lost in her books. This book is told from the perspective of both Penelope and Cecil with the changeovers being smooth and easy to follow. Full of suspicion, forbidden love and much more - remember this is Tudor England with nar a dull moment about. Coming it at 560 pages this isn't a quick read but well worth every page. Watch the Lady is the 3rd book in Elizabeth Fremantles's Tudor series, but in no way do you have to read them in order. They are definitely written as stand alones. Click on the covers to read my reviews of her previous books. This sounds interesting. Although I've read a few books from the Tudor time period, they have all centered around Henry VIII. Looking forward to expanding into other parts. Thank you for offering a giveaway. Oops forgot to answer the question What am I reading now: I'm trying to finish up a cozy mystery called Deadly Magic by Elisabeth Crabtree. Thanks for stopping by. I don't read a lot of cozy books, will have to check this one out. I'm reading right now What Alice Forgot by Liane Moriarty. I am reading London Tides by Carla Laureano. saubleb(at)gmail(dot)com . Thanks for this great feature and giveaway. I just finished The Nightingale by Kristin Hannah which was amazing. Since I needed a lighter read after that I am reading The Status of All Things by Liz and Lisa. I am reading Garden of Lies by Amanda Quick. It started with Paris! is the book I am reading right now.